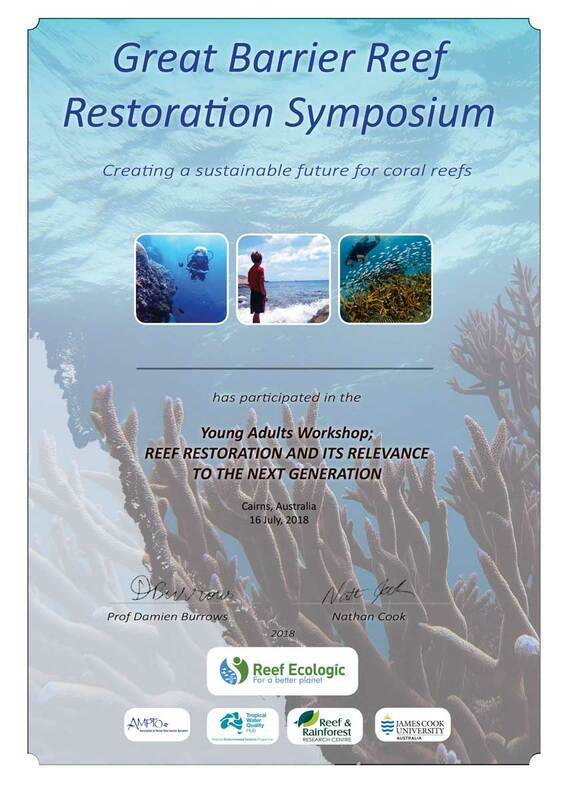 Reef Ecologic were proud to host the Yong Adults Workshop as part of the Great Barrier Reef Restoration Symposium in Cairns on 16 July, 2018. At this workshop we engaged with a group of young adults on the issues facing reef health. 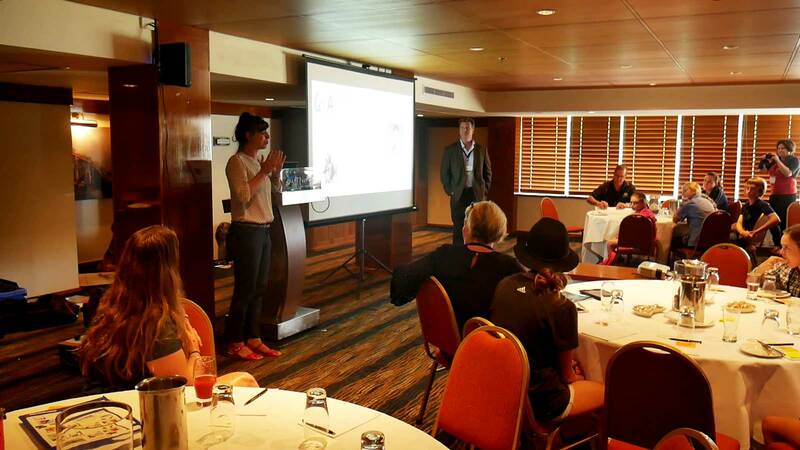 Young adults were invited to join the GBR Restoration Symposium for the entire first day of the event. 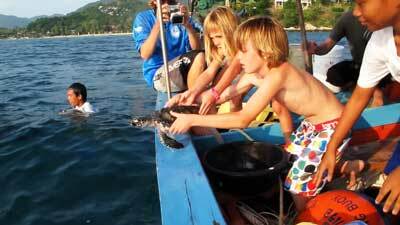 This would enable them to interact with an international marine science community as part of the day’s activities. 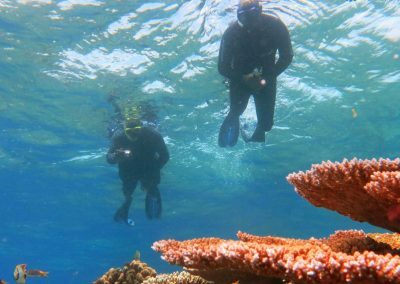 The youth were able obtain an introduction into the issues facing the Great Barrier Reef and the role reef restoration may play in supporting its resilience. Additionally they were able to experience an international conference and see how the professional community networks and collaborates to advance ideas and opportunities. 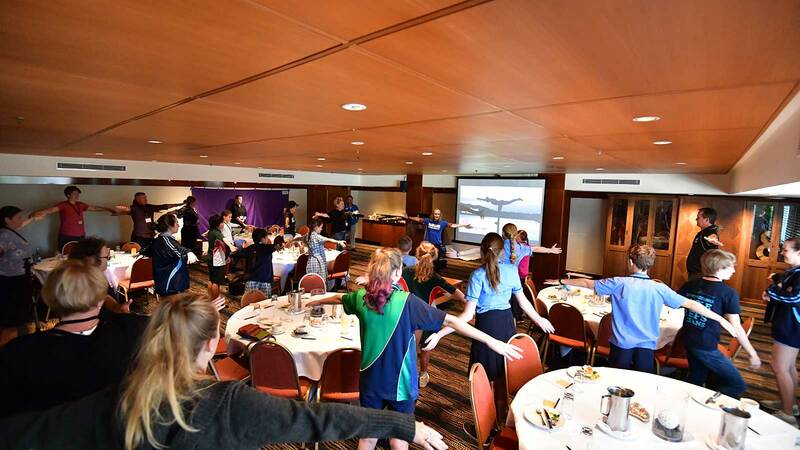 In the afternoon the students participated in the Young Adults Workshop which provided an opportunity for the participants to take the first steps in becoming the next generation of Great Barrier Reef stewards by opening doors into the world of Great Barrier Reef protection and management. The students were encouraged and challenged to develop and share their ideas on reef restoration. Working in teams, the students identified problems and came up with solutions during guided sessions before sharing the outcome of their discussions with the rest of the workshop. The students had the opportunity to engage with international leaders in their field. 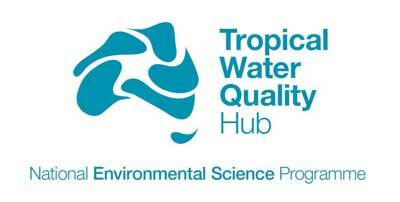 Keynote speakers Dr Tali Vardi, Coordinator at the National Oceanographic and Atmospheric Association’s Coral Restoration Consortium and Dr David Wachenfeld, the Great Barrier Reef Marine Park Authority’s chief scientist provided insights into their work on opposing sides of the globe. The Young Adults Workshop was designed to determine what, in the opinion of the assembled students, what are the main problems facing coral reefs, and what solutions could they, as young adults participate in. 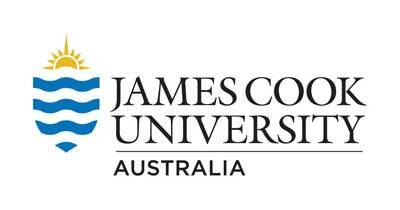 The group of 22 students included representatives from the Cairns region, two schools in Townsville and one from New South Wales. The workshop included a number of elements to engage and inspire the participants and enable creative thinking. 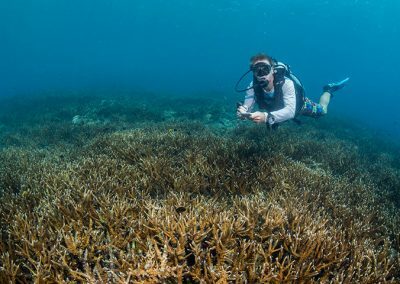 Influential young adults from the local community showcased impressive work and campaigns they were doing to raise awareness about reef health in their communities. 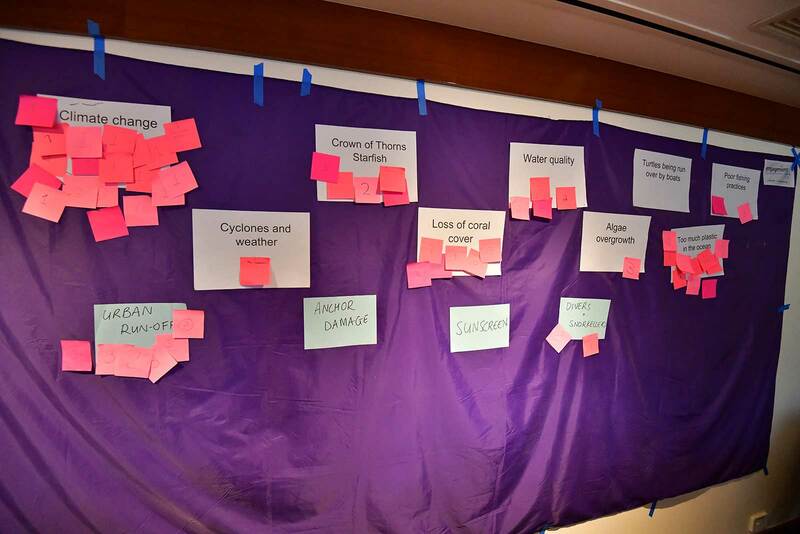 A major component of the workshop included a brainstorming session to develop ideas for youth involvement and contributions to reef health and reef restoration. 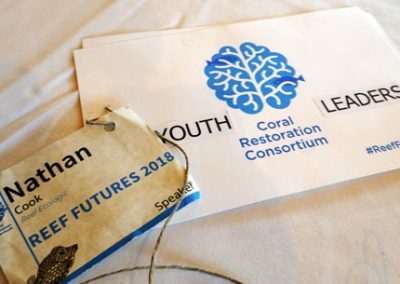 The students were encouraged to not only consider possible ideas and solutions to support coral reef health, but also the role they may play in implementing such change. 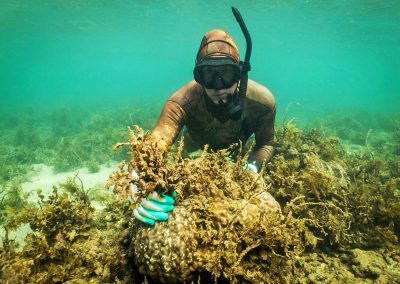 International delegates from across the world attended the 2018 GBR Restoration symposium. 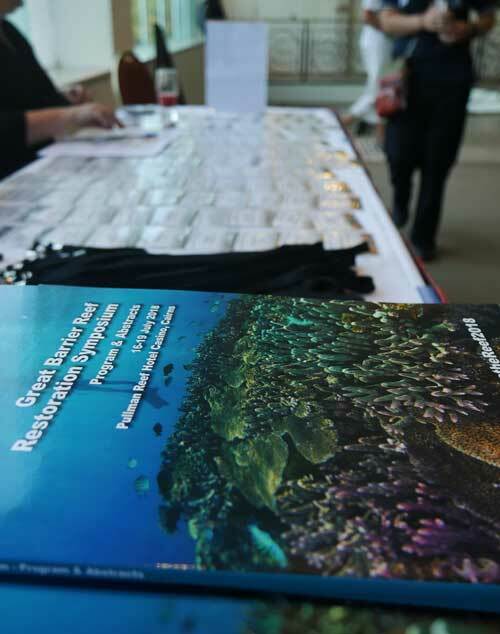 Coral reef managers, government employees, restoration practitioners, marine science students and industry representatives contributed to a very diverse and somewhat eclectic crowd for a scientific conference. As coordinator, the amount of positive feedback at the presence and inclusion of the next generation in the discussion about how to address the issues facing coral reefs was surprising and uplifting. Bringing the youth into the discussion provided a sense of hope and a positive perspective often lost by the older, more informed generation. 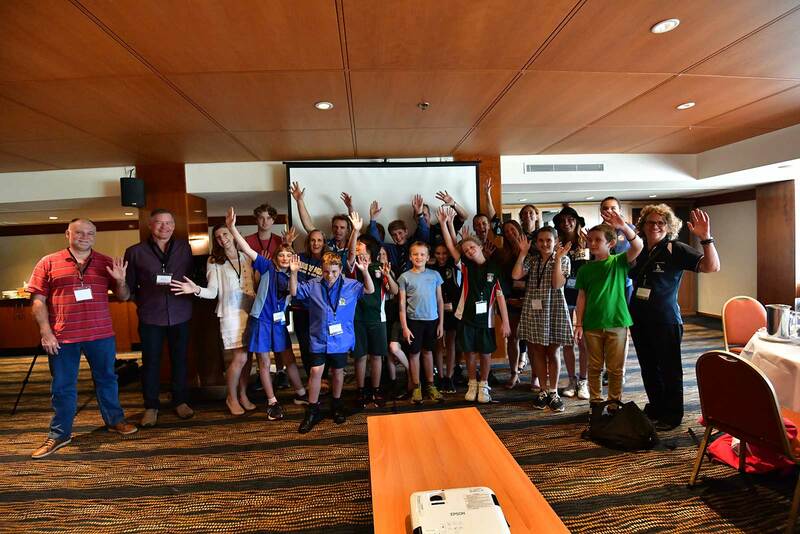 With the innocence of youth and the optimism of opportunity, the young adults were an exceptional addition to the symposium overall, and something many hoped would be an activity implemented at future conferences and symposiums. Young adults Satya Cook, of Belgian Gardens State School, and Kailash Cook, Pimlico State High School, present to the assembled delegates on the morning of day one of the symposium.